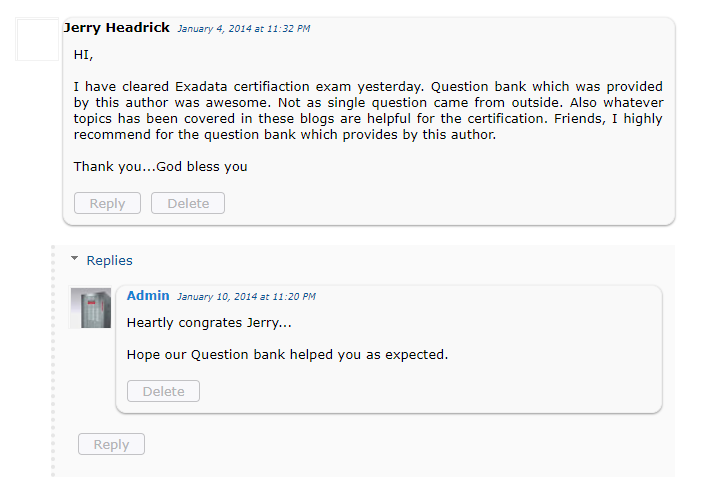 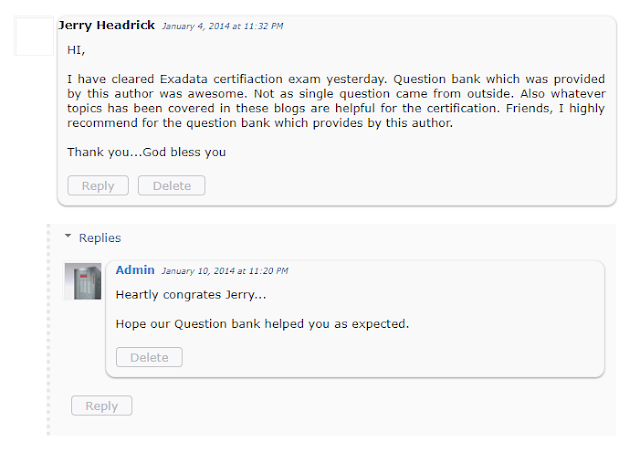 We have received enormous positive response from our readers and followers around the world who have purchased Certification Questions for their exam preparation. 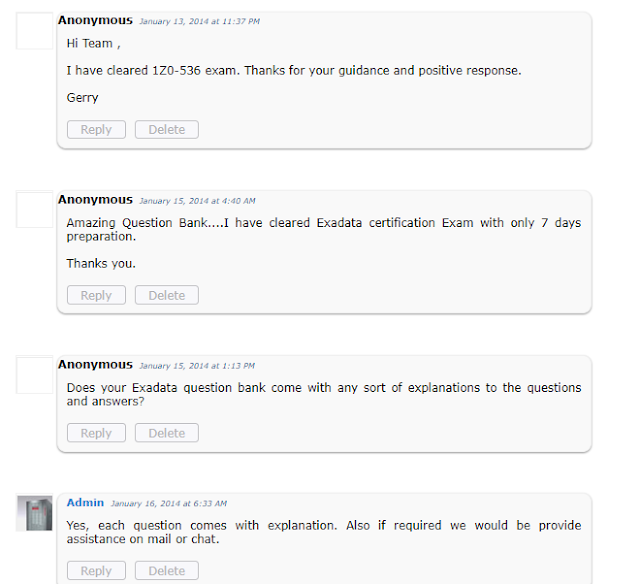 Many of them have scored very well in their certification exam whereas many of them actually regret that they missed our certification materials before their certification exam. 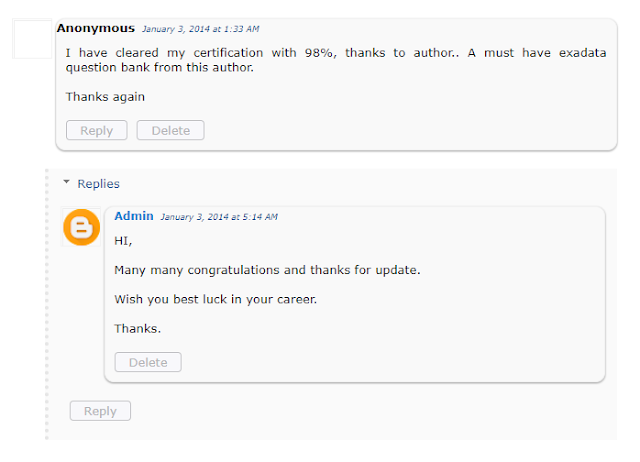 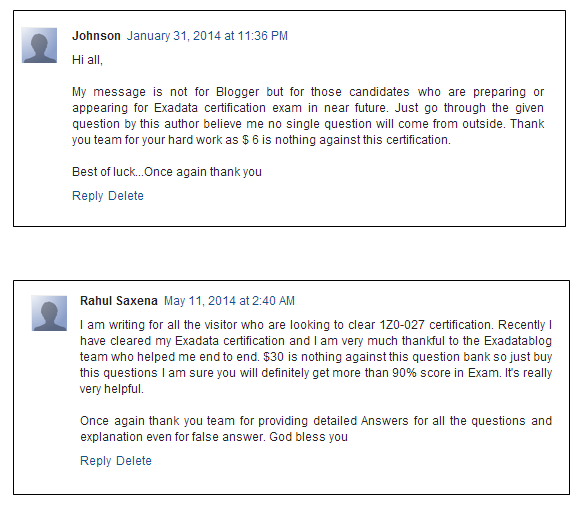 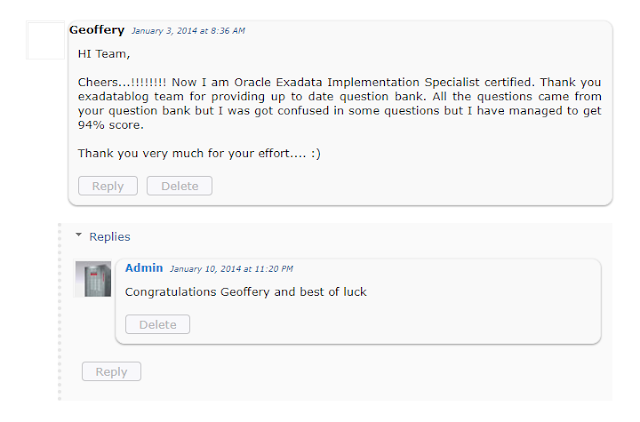 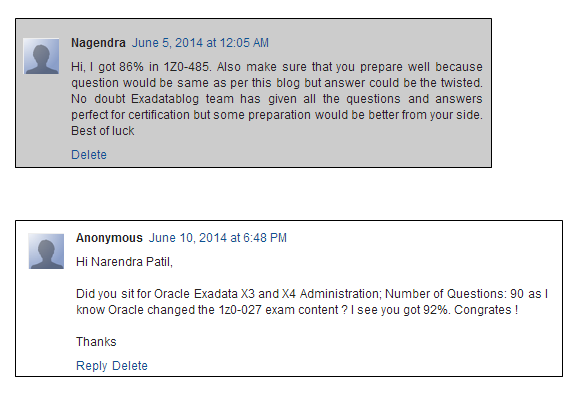 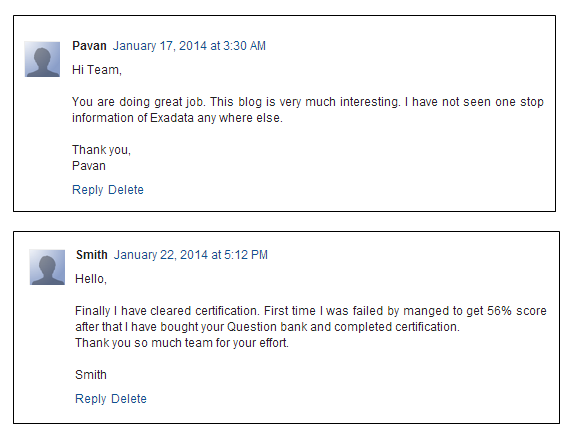 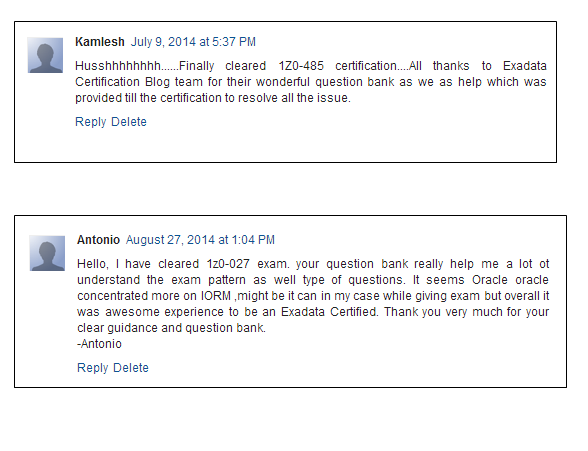 Here we are posting some of the testimonials with actual screenshots which we have received as comments or in emails. Many heartiest congratulations and thanks to all of them and we wish them all the best for their bright careers.